This step-out is a bit more complex than those I’ve been sharing for two reasons. It depends on layering. 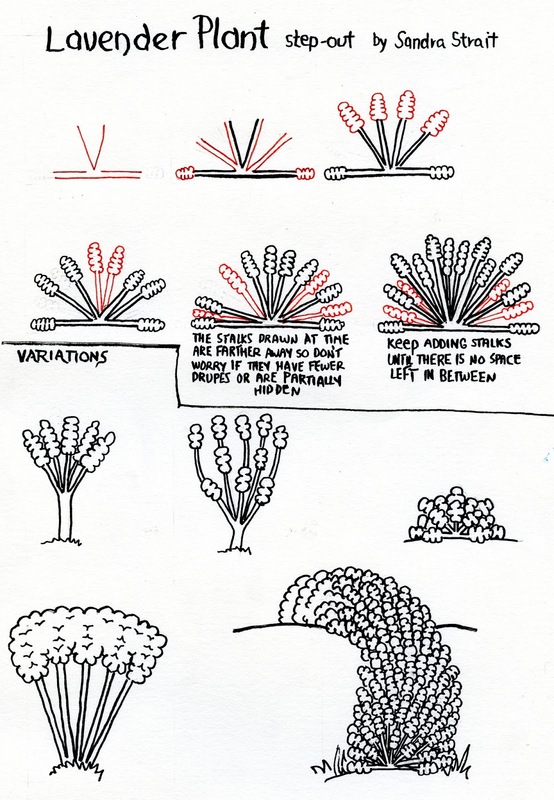 You draw one set of stalks, then draw another layer behind, and repeat until the plant is full. Repeating of the line of petals at the end of each stalk can get more difficult as you go. Something about trying to keep the sides lined up gets your brain all fuzzy. Not everyone has the problem, but don’t think you are odd if you do. Consider this to be a challenge step-out and good practice, but don’t let yourself get frustrated by it. If you have problems drawing the petals, reduce the number to three petals per stalk instead of five. If you REALLY have problems, try drawing just one petal at the end of each stalk. This is fantasy and in your fantasy world lavender has as many petals as you want it to. The main thing is to have fun. If you let yourself get frustrated, you aren’t having fun. 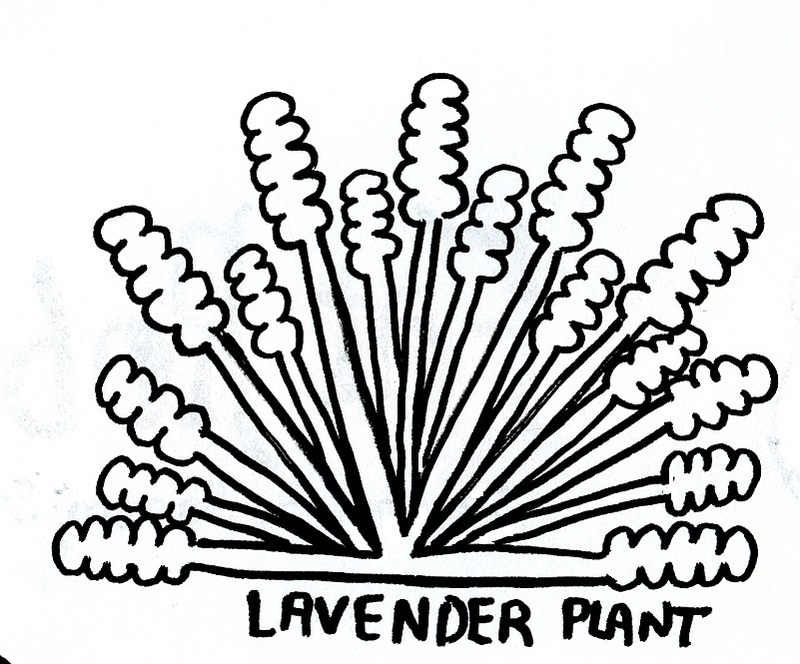 The Lavender Plant step-out is great for people who like a pattern or rows. It can act as a roadway to border the sections of a landscape, if you want to take the time to draw it as a continuing road. It’s a nice fill in of medium interest that won’t take the focus from something else. It has a medium to medium-dark value depending on how densely you draw the flower pods stalks. It looks more complex than it is. On Sunday, I have a step-by-step tutorial that features textures and the step-outs I’ve posted this last week or so.